May 2012 bring love, laughter, creative fulfillment, deliciousness, inspiration, occasional rest, eye-popping beauty, good health and energy, success and happiness to the people we love and to all those who touch our lives. And thank you, kind readers, for a most wonderful 2011! This 1945 Warner Brother’s Picture is a real charmer, starring Barbara Stanwyk as a very single bachelorette food writer living in a New York City apartment. Her character can barely boil water, but somehow manages to steal ideas from her restaurant chef friend (played by the wonderful S.Z. Sakall) in order to write a popular Martha Stewart-esque column about being the “perfect suburban housewife.” She finally ends up getting trapped her in her own web at Christmastime when she must try to cover her deception after her boss and a coincidentally devilishly handsome returning war hero invite themselves to her “home” in Connecticut for a traditional family Christmas. 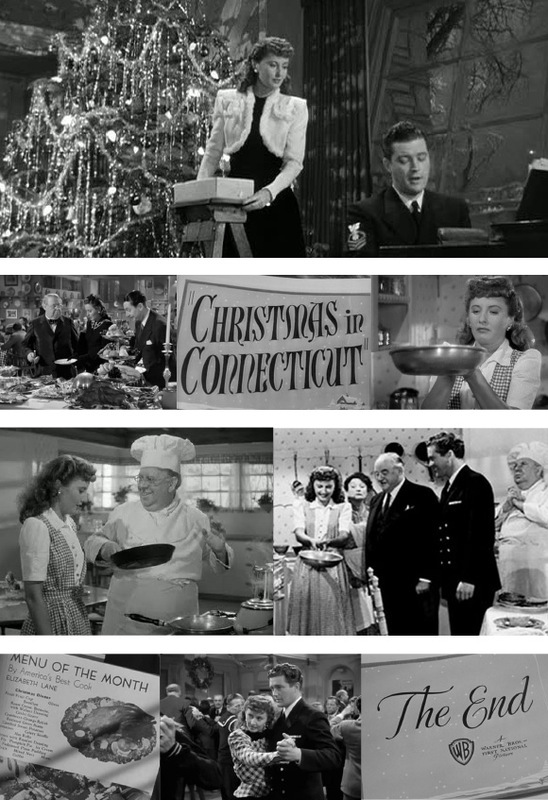 She’s forced to fake her way through being a super mom, super chef and all around country homemaker to keep her job and the man of her dreams who has, of course, suddenly appeared, Hollywood-style, on her pretend Connecticut doorstep – super adorable holiday-fare! We often give these little cuties from Manhattan Fruitier for special “thanks” around the Holidays. 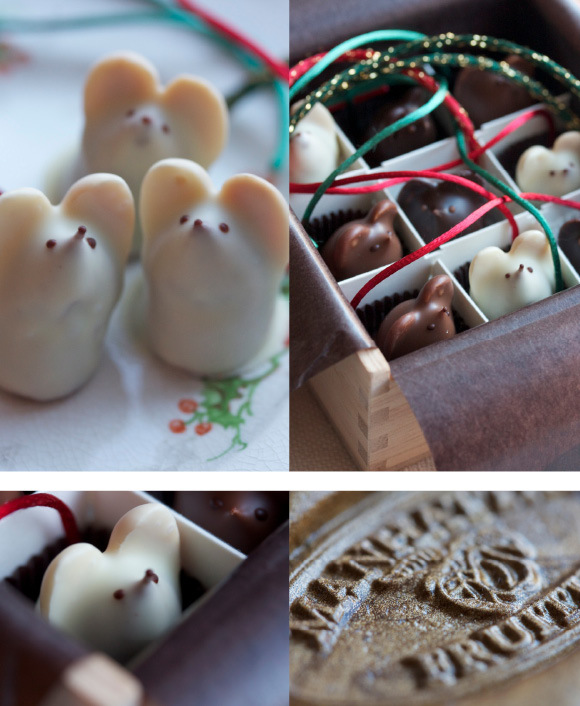 And this year we were delighted to finally receive some adorable little dark, milk and white chocolate mice with almond ears and silky ribbon tales, ourselves. So sweet, Diana and Jennalee – thank you so much! Janie’s Sour Cream Coffee Bunt Cake – made the night before, it’s been a Christmas morning tradition in the Elliott Family for as long as anyone can remember. Served with hot coffee, fresh strawberry-orange juice and ripe strawberries with powdered sugar to dip for the kids while opening presents. Happy, Happy! Barbara at Inatteso Café Casano outdid herself again. This time with puffy, pink and girly cupcakes in vanilla with vanilla butter cream and chocolate with her famous chocolate ganache to match a party of four whipped up little ballerina’s, a half-pint little sister ballerina and five pirouetting parents celebrating all things Angelina Ballerina and, of course, dear Libby’s fifth year on this earth – Happy Birthday, gorgeous one!